Paris Retail Week will take place at Paris Expo Porte de Versailles from 10th to 12th September. Taking on the theme of ‘Smart Phygital’ the show will be a centre point for the convergence of digital technology and thought out physical design. 40,000 decision-makers; 800 industry providers; 350 headline speakers, 3 retail store tours and an awards ceremony. 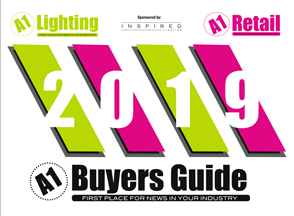 The addition of the Store / Equipmag sector, alongside the e-commerce sector, allows the European 360° retail event to fully present the latest challenges, solutions and developments in the world of retail layout and equipment. The advent of AI and new technologies empowers retailers to meet the expectations and demands of modern shoppers in new, tailored ways; combining ultra personal approaches with grouped, streamlined and standardised messaging. 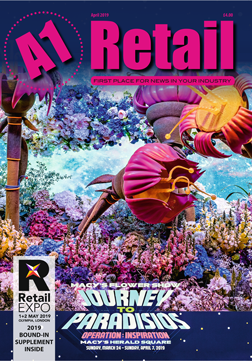 In September, Paris Retail Week will open its doors to the 360° retail industry, focusing on the new evolution of retail experiences. The modern consumer is ever more connected and web-savvy and, until lately, the high street has been suffering. Through the expansion of multinational online stores, the high-street has gone through a successful revival. This new age of shopping is returning to its origins offering customers user-centric, original in store experiences. Traditional store layouts are being replaced by modern, cutting edge scenography, appealing to the senses of the shopper and enticing them with a blend of traditional customer services and data driven digital technology. These digitally enabled stores are re-humanising the purchase process: Smart CRMs make it possible to personalise offers, and with retail staff equipped with tablets answering customer requests, transactions become invisible, and click & collect offerings blur the lines between on and offline shopping. The 2018 event will showcase the entire full-circle business value chain: from new distribution models to omnichannel approaches and the consumer journey. During 2017’s event, more than 820 scheduled appointments took place. ‘Business Meetings’ are returning this year, making it seamless for exhibitors and qualified project holders to plan and prepare meetings during the show. This year, in parallel to the show, Paris Retail Week has organised three Paris Retail Tours to showcase the capital’s most innovative technological retailers. It will also host the Paris Retail Awards to recognise the most revolutionary projects; allowing service and solution providers to build brand awareness globally. The Rookie of The Year prize will highlight three startup finalists, who will pitch their projects on D-Day before the public vote gets to decide who the final winner is. The awards ceremony will be held on 10th September, as part of the show.